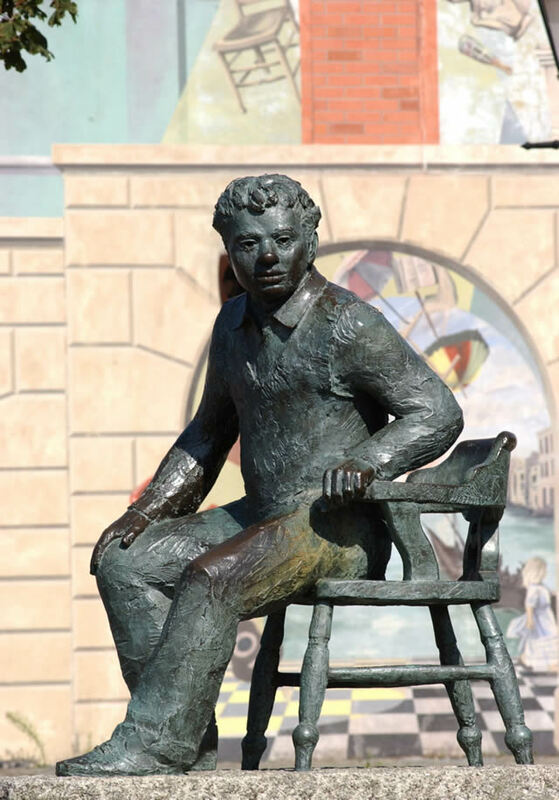 Wales is the land that inspired one of the world’s greatest poets and every year, every day in Wales is a celebration of the life and work of Dylan Thomas. His story takes us to some of the loveliest places in Wales, taking in the castles, the fishing villages, the ‘ugly lovely town’ that is now the city of Swansea. A bespoke tour of Dylan Thomas’s homes and haunts will take in Swansea’s No Sign Bar, Swansea Castle and Cwmdonkin Park, where he played as a child and still contains the fountain he refers to in one work. Contrast the city with Carmarthenshire’s rural Laugharne, with its castle and the boathouse, where he wrote Under Milkwood. Breathe in the poetry along with sea-air and wonderful views of the Taf Estuary and Gower, and the ‘heron priested’ shore. Time too, perhaps, to ‘go to the Brown’s, buy a Felinfoel ale and if there is more time, we can take you to Llansteffan where he visited his mother’s farming family and to Newquay on the dramatic west coast of Wales.